In New York City, IT employees of EmblemHealth recently staged a protest over the decision to outsource their jobs. CEO Karen Ignagni told the employees the company needed to modernize its platforms and didn't have the money or expertise to do this work. Among those at this protest was Phillip Tsen, a former outsourcing project manager. It was once his job to move IT work to outsourcing firms. By joining the demonstration, Tsen wanted to show his support for EmblemHealth workers losing their jobs. Emblem's justifications for its wholesale layoff of its IT employees are similar to those Tsen once made as an outsourcing project manager. The difference is that he just doesn't believe in those arguments anymore. Tsen was a global leader of IBM offshore management for more than 15 years. He has a master's in computer science from Columbia University, and earned a patent for his work on a knowledge transfer process. He left the industry in 2011. He now considers himself an unemployed writer. This book brings you inside the conference rooms where the decisions are being made. It explores the friction and dynamics among executives embarking on this course and shows its impacts on the affected workers. It helps you to understand their pain. It's a compelling read. Published in December, former offshoring project manager Phillip Tsen has written a fictional account of his experiences. Fallon is increasingly troubled by the human consequences of his previous work, and the questionable actions of executives paid large bonuses for eliminating jobs. Tsen began his professional career as an artist working as a designer at a textile firm. (You can see some of his work by scrolling down on this page.) But when the textile industry moved offshore, he changed careers and pursued studies in computer science, and joined Bell Labs when it was part of AT&T. He was a manager and distinguished engineer. In an interview, Tsen explains the reasons for writing this book, and talks about his hope that it might move executives to reconsider their direction. He describes the effort as a personal redemption. What follows are edited excerpts from an interview. Instead of being an executive, sitting in a war room, looking at a spreadsheet where decisions can be made easier, I worked in the field. You see people suffering. You see people trying to resist and fight [the outsourcing of their jobs]. I see all the things that are going on behind the scenes. You deteriorate inside your heart. I couldn't do it anymore, and took a leave of absence and wrote what's inside my heart. After a year, I went back to the job. I tried to get back to my work again. But I saw the affected IT workers, people with gray hair, with families, children in college, people who really need a job and I felt like: 'What am I doing here?" I quit and then wrote a book to get my voice out. What is the personal toll of this work? Some companies feel they have no choice [to outsource], and need to fix the processes and save the money. They are trying to do something that appears as if they are transforming the business to a better position. That seems like a good reason for it, but I'm still not sure that's the right solution. The savings (per job) are 30% -- if you offshore 100 people your savings is about $3 million. That's a quick savings. But then at the beginning of the next year, after you have done all the offshoring, the CEO and executives take million dollar bonuses. This is just not right at all. That's what is hurting me, this betrayal of loyal employees. The book's main character, Peter Fallon, argues that "we weren't responsible for firing hundreds of people; we were responsible for saving hundreds more by making this company solvent again." That's sounds like a moral justification for offshoring jobs. Isn't it? In 2001-2002, when the dot.com bubble burst, [saving a company] seemed like a good reason for outsourcing. I put my heart into it and did a good job. But in the years following the dot.com bubble, a lot of CEOs turned to outsourcing to appeal to Wall Street. In their hiring agreements there is a pre-set cash bonus and if you meet this number, you get this much in bonus. That's what I've seen happening. Not every every CIO or firm decides to offshore their IT department. What arguments are brought to bear by companies that reject offshore outsourcing? Some companies take moral responsibility, social responsibility and don't go offshore. Rather than lay off people, they try to retain their valuable, loyal employees. I don't mean job protection, because a company does not have the obligation to protect an employee's job. The employee needs to bring their value, and management also needs to bring its value. I'm not anti-offshoring because there are certain low-cost offshore skills that can help speed up the initial rollout of new technologies. But it's your loyal employees that know the best processes and the data. Phillip Tsen, author of "The PM Executioner" and former IBM global outsourcing manager. Companies that outsource their IT departments, and then announce job cuts, will call it a hard decision. To me, it's an easy solution to go offshore. They feel they can achieve business success by holding the service provider accountable to meet all the KPIs [Key Performance Indicators]. That's not the truth. Companies that retain their employees through a recovery retain their competitiveness. Companies that offshore are losing that competitiveness, that loyal employee -- you are losing the stability of a team in the long term. You put a lot of weight on loyalty. The premise is that a firm's IT employees will be adaptable and will act in the best interest of the company. You don't think that's true for offshore resources? Exactly, yes. When you offshore your knowledge, the person that you train will take your technical and business strategy knowledge and work for your competitors when they offshore their stuff. You never get a loyal, stable team offshore. Long-term, you are better off to keep your employees and use offshore for short-term work. There are some IT departments that outsource the vast majority of their IT work, if not all of it. What is the outcome for firms that take this path? A firm will say IT is not their core business. The drivers may be out-of-date systems, work backlogs, an understaffed IT department. They see their staffs as higher paid and decide that going offshore is cheaper. A lot of times managers [in other departments working with IT] are not following the best practices of project management. Requirements are vague because they don't understand the complexity, which leads to modifications, small releases and patching. A lot of IT employees feel they have become the scapegoats. To me that's a symptom. Outsourcing the IT department does not solve your problem, because the other departments in the firm are not following best practices. The offshore vendors will charge more for modifications. You think you are saving, but you're not saving. The culprits are the middle and higher managers -- they have not fostered a [company-wide] organization that follows good practices. Changing the pool of employees, from U.S. employees to offshore employees, does not say that you will have a better system. You are moving to a long-term headache. Are there moral consequences to these decisions? It's not morally correct that you just lay off your long-term employees, and you sacrifice and push them out door, then you take big bonuses. There are ways to do this -- everyone needs to bring value. Management is the culprit that fosters inefficient organizations. IT is not alone, and they are not the ones that should get the blame. People do not take the approach that "we are in this together" -- they do not all tighten up the belt. Outsourcing the employees is morally incorrect, and strategically not the right solution for the long-term. Your point is that a company that offshores believes they can improve their IT operations through vendor contract management, but what you are saying is they really can't. What are they losing? They will lose their competitiveness because their offshore IT department is unstable. They have a continuous turnover. When you implement a new strategy, the [IT] response time will be slower because you are dealing with a handful of new resources again. 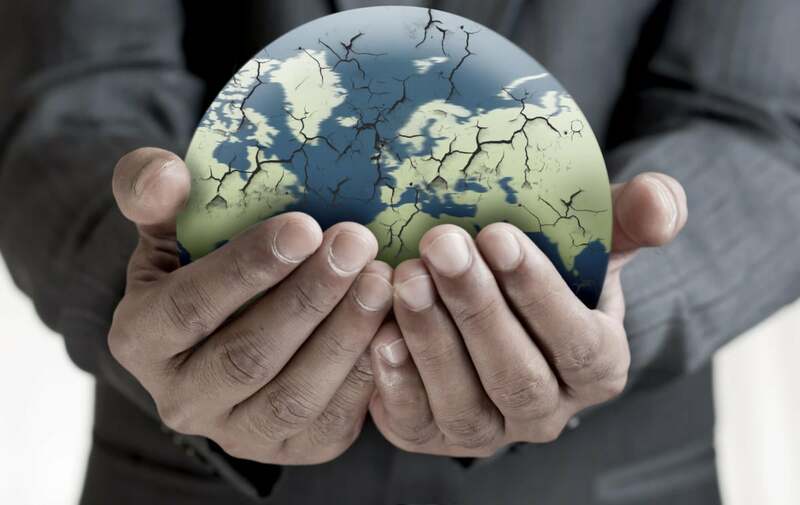 What impact will offshore outsourcing have, generally, on corporate IT? This is probably a dangerous path we are going down. Because of my experience, back in the 1980s, working as an art director [in a textile firm], everything went offshore so we lost the textile industry. At that time, telecom was booming. I hopped on that wagon right away because I have a can-do attitude. I join AT&T Bell Labs and become a manager and distinguished engineer. But my department went offshore to India. Now I ask: What's next if we continue this trend of offshoring? Do you think offshore will be cheaper forever? Years down the road, if you look at the percentages of increase, your Indiana labor cost will be lower than the India cost. But by then we won't have the capability anymore because nobody will be in that profession. That's what I worry about for the long term. I'm not anti-offshoring; I'm not pro-protectionism. But definitely the behaviors -- laying off people and then getting big bonuses -- those things need to be transparent. There needs to be a law to disclose that.... and to disclose how many H-1B holders are on-site for a purpose that's illegal. Will transparency make a difference? Transparency will make the moral issue more visible. Management will think twice because they also want to protect their brand image. There is an IT employee at New York Life who earned a computer science degree and is training her replacements from an IT services contracting firm. In an interview, she was asked: What would you say to any young person today who is considering a computer science major? Her recommendation was not to major in that because there's no future in it. Do you think that students should major in computer science today? I do not encourage that (majoring in computer science) because of the trend we are going down. Being a developer, tester or engineer of software -- those are jobs that will be offshored. 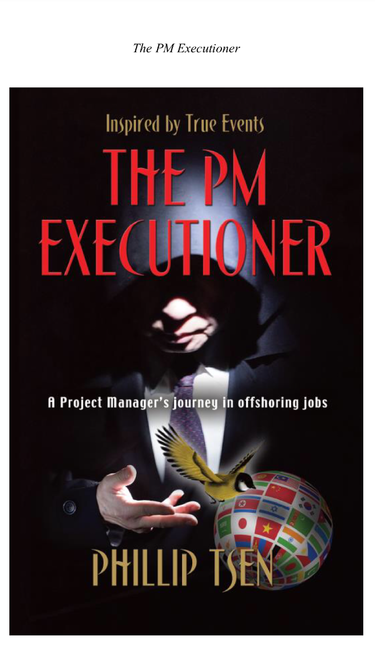 Is "executioner" a word used by project managers in the offshore outsourcing industry? One person, early in my career, said to me, "You are the executioner." At one time I thought, that's just a way to survive [as a project manager in outsourcing engagements]. When I look back at that now, the person who called me an executioner actually had a much earlier sense of what I was getting into. That's why I used the word. A lot of what's in the story is based on true facts. Here is an example: One person who lost a job because of an offshore outsourcing decision had a plaque in his office marking his 25th anniversary at the firm. He cleaned out his office, but the only thing he left behind was the anniversary plaque. That's an image that has haunted me for years. This story, "Former insider’s book explores morality of offshore outsourcing" was originally published by Computerworld.